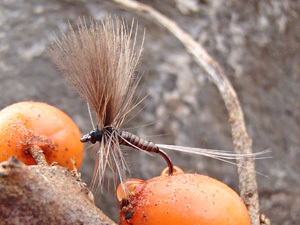 These CDC winged dry flies are the finest flies for difficult fish under difficult conditions. Well visible and high floating they can turn a "no chance" day in a day you will never forget. 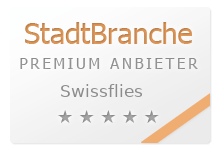 Tied on high quality barbless hooks; wings SWISSCDC natural or SWISSCDCcolor. The Swiss Pale Yellow is the most successful grayling fly of the winged CDC. 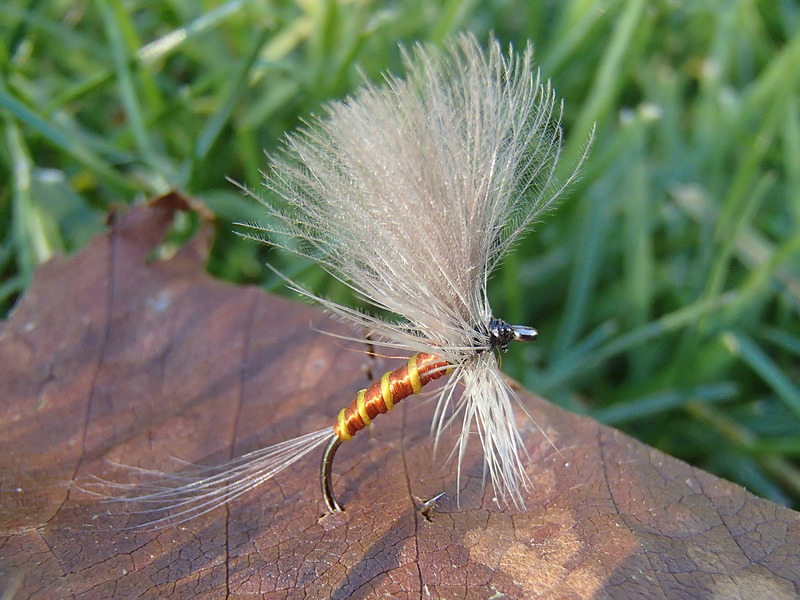 Not only highly visible, but also in color that what the late autumn grayling are looking for. Heptagenia sulphurea is the latin name for this comparatively big yellow fly which makes rise the nice fish towards the end of the season. 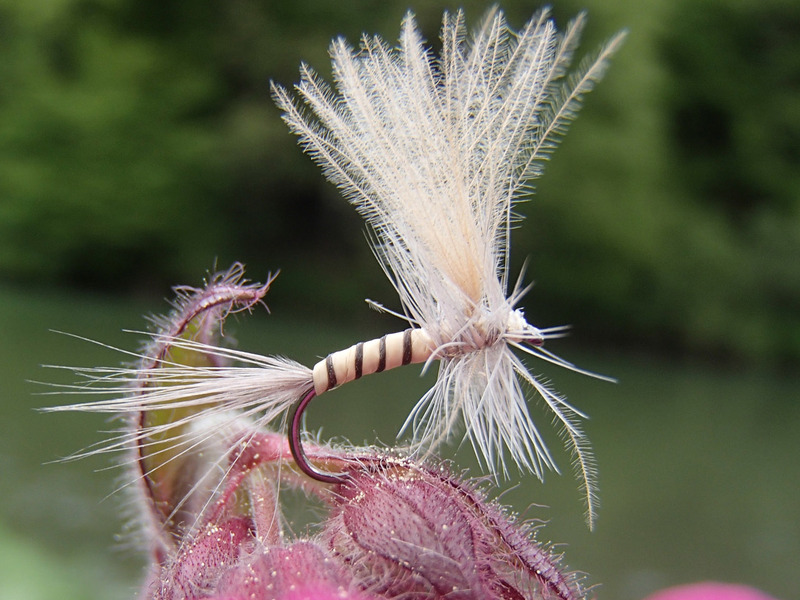 The Light Cahill is used best in late spring, when bigger light mayflies hatch. Beige khaki campbell CDC winged dry fly with Swiss straw SwissR body makes you have successful days- even when rainy. 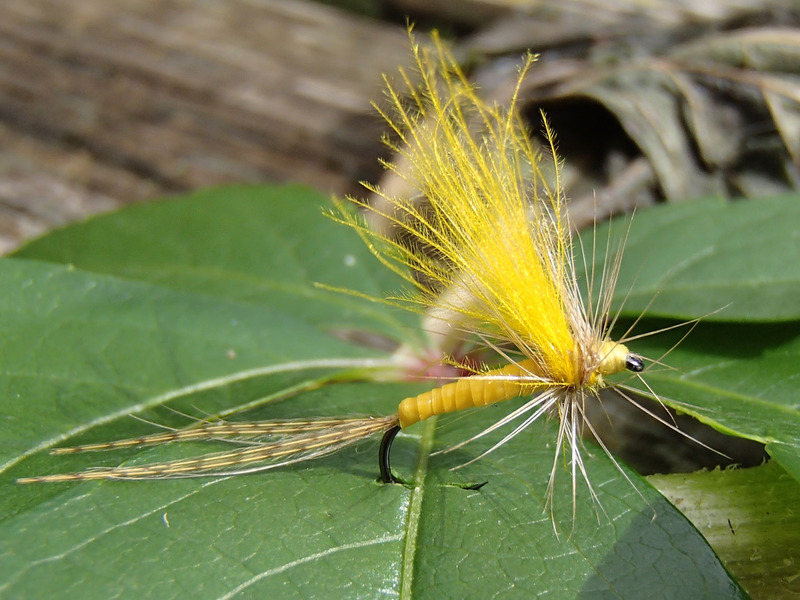 The BWO Blue Winged Olive imitates in Europe the most abundant mayfly species (Ephemerella ignita). 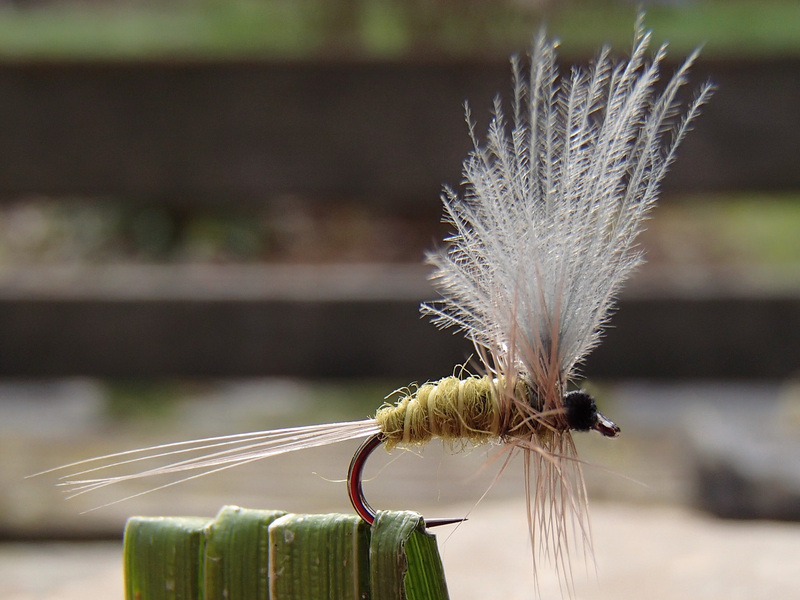 This blue-grey CDC winged olive dry fly is a must for everyone fishing in May and June the chalk streams. 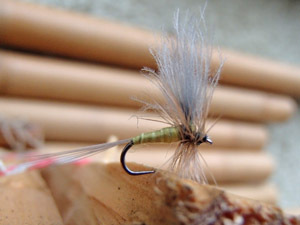 Light Olive dry fly winged with Jura Dun SwissCDC. 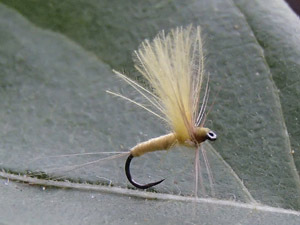 This peacock quill dry fly imitates all grey- brown mayflies very well. Making the wings with CDC avoids the turning of your leader, which is a problem of the old english quill flies with their full wings. Great for trout- but also the secret for the grayling in the early winter days.